I would like to receive occasional information and updates from Fareham Nomads Swimming Club and jumblebee. Our Club was formed in 1974 before there was a public pool in Fareham. Due to the lack of a home pool the Club took its name because in the early days it led a ‘nomadic’ existence, using various pools throughout the area for training until 1980 when Fareham Leisure Centre first opened. Since then, we have grown considerably and today have a membership of around 250 children and adults. 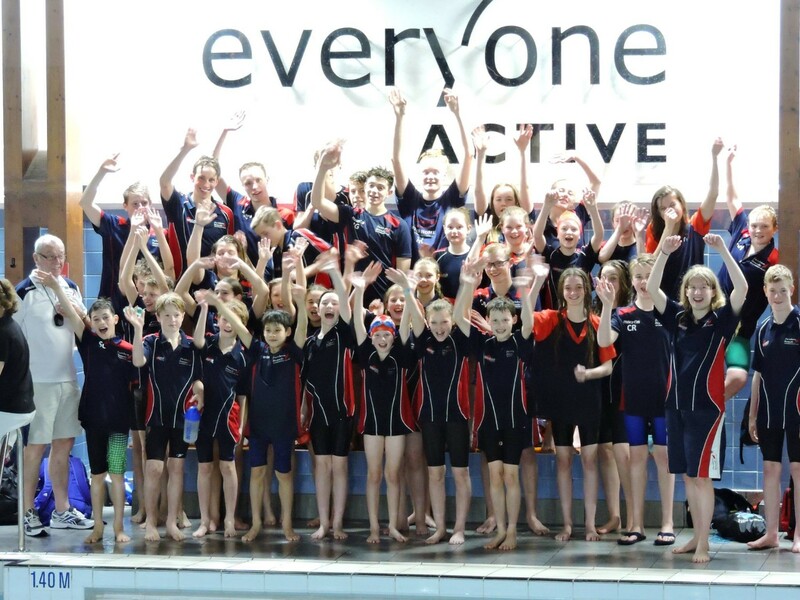 Fareham Nomads is accredited to Swim 21 for teaching and skills development, as well as being affiliated to the Amateur Swimming Association (ASA), ASA South East Region and Hampshire County ASA. Our aim is to give beginners and non-swimmers the opportunity to learn to swim by developing confidence and stroke technique in a structured, fun and safe environment. 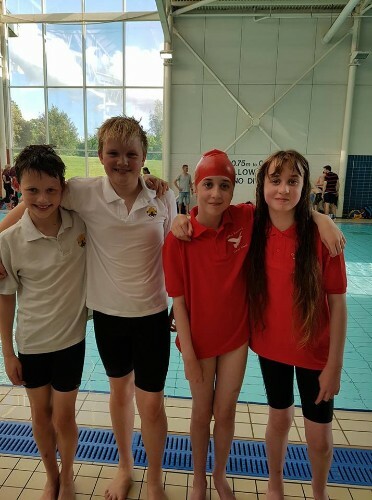 Fareham Nomads is also a competitive swimming club and provides competitive opportunities for swimmers from novice up to national standards. We are a not-for-profit organisation and fundraise to help the ongoing running of our club. Interested in joining or thinking about sponsoring us? Contact the administrator for more details. Winners need to contact the administrator immediately after the auction to arrange collection of the item. 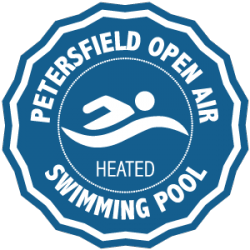 2 x one day passes to Petersfield Open Air Swimming Pool (GU31 4DZ). The pool is heated! The water temperature is usually about 27 degrees C.
They are open every day during the season (usually late April to mid-September). The pool is approx. 25m long and goes down 3m in the deep end where there is a springboard. The toddler pool (with a lovely smiley yellow octopus on the bottom) is filled in hot weather. Adult only lane-swimming sessions weekday evenings and weekend mornings. Voucher entitling the bearer to a meal to the value of £40 at the Whiteley restaurant. Celebrate Asian food in all its authentic, mouth-watering glory. 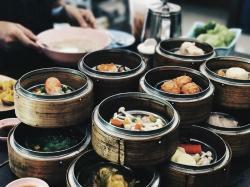 From steaming soups to fragrant curries (and of course the dim sum we’re famous for) they'll help you eat your way around the East. This vouchers entitles you to 2 free Unlimited Rides wristbands. Wristband sessions at weekends and daily in school holidays. 1 x family voucher to The Diving Museum in Gosport (PO12 2QU). For 2 adults and 2 or more children. It is not yet popularly known, but Gosport is the home of the global diving industry. The co-inventor of the diving helmet, John Deane, lived in Gosport from 1835 to 1845 during which time he discovered the Mary Rose! The first diving helmet ever sold by the inventors was to a Gosport mariner, Henry Abbinett. Gosport represents a natural home for the country’s premier historical diving museum. 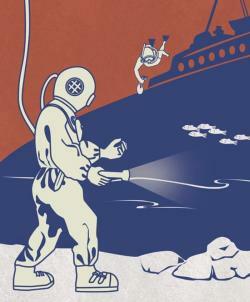 The Diving Museum exhibits the best range of military, commercial and recreational diving equipment anywhere in Europe. 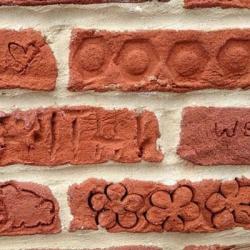 Family ticket to Bursledon Brickworks Industrial Museum (SO31 7HB). Come and be amazed at the authentic sights, sounds and smells of the last steam-driven Victorian brickworks in the UK. Make your own brick, get close to the massive brick making machines and see how the men used to run 15 miles a day in the big drying sheds. Special steam-up Sundays are held once a month through to December where you can see the machinery all working. Fun day out for all the family. Valid: 1 May 2018 - 1 May 2019. Admits a maximum of 2 adults and 2 children to any day the museum is open on both event days and non-event days. Family ticket (2 adults, 2 children and a car pass) - worth approx £75! The Longines FEI Jumping Nations Cup™ of Great Britain at the BHS Royal International Horse Show is one of the oldest equestrian events in the world, as well as one of the biggest outdoor horse shows in the country. It offers everything from the skill and power of international showjumpers clearing vast fences, the precision of top class show horses and ponies putting in foot-perfect performances, and the speed and exhiliaration of the scurry drivers and event riders galloping around Hickstead’s famous International Arena. Her Majesty The Queen is the official show patron, giving the show its Royal prefix. It’s a great place for celebrity spotting too – British Horse Society president Martin Clunes loves coming to the show, and other celebrities to visit in recent years include model Jodie Kidd, Davina McCall, Richard Hammond, Jennifer Saunders and TV news anchor Alastair Stewart. 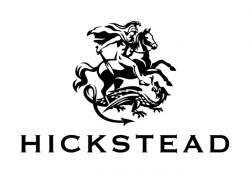 Ladies’ Day on the Saturday offers some amazing prizes for Hickstead’s best dressed guests, with luxury spa breaks and gourmet meals on offer from some of West Sussex’s best hotels. Children are in for a treat too, whether they’re pony mad or not. Visit the new Family Fun Zone to enjoy the funfair or be entertained by local star Tomfoolery. For foodies, Hickstead has plenty to tantalise and tempt your tasetbuds. Explore some of the local delicacies in our Food Hall, check out the myriad of stands selling delicious street food, or bring your own picnic and find the perfect ringside spot to enjoy the glorious British countryside. 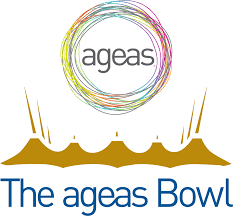 4 x tickets for the Southern Vipers and Hampshire Cricket Double Header at the Ageas Bowl on Wednesday 8 August 2018. Usually £18 per adult ticket! Watch the Kia Super League Southern Vipers in action against Yorkshire Diamonds, before enjoying Hampshire's Vitality Blast South Group cricket match with Somerset. General admission/seat selection on arrival. 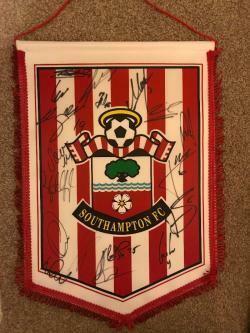 This signed Southampton Football Club A3 pennant for the 2017/18 season comes with a Certificate of Authenticity. The 2017-18 Southampton F.C. season was the club's ongoing 19th season in the Premier League and their 41st in the top division of English football. This item would look great on any Saints fans wall! 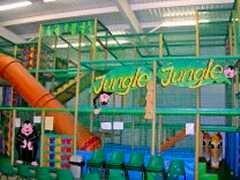 At Jeffries Jungle we offer a premium indoor soft play in a bright, clean and safe environment so your little ones can enjoy adventure, exercise and stimulation all in a safe environment! Suitable for children up to 10 with a dedicated under 3 area, Slides, Ball Pits and Go Karts (go-karts are an additional cost). Let your children enjoy active play and interaction whilst you relax in our coffee bar with a cup of freshly made 'bean to cup' coffee or a selection of healthy snacks prepared just for you. They also offer free after school meals from 3-5pm every weekday for every paying child up to 10 years old. Location: Gt House, Ashley Crescent, Southampton. 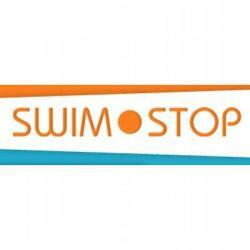 £15 voucher to spend at Swim Stop. Browse trunks, costumes, goggles, hats and much much more at the Swim Stop store in Waterlooville (PO7 6XE). A A6 hand-signed print from British Olympic medley swimmer Hannah Miley. Miley is a double Commonwealth champion, European and World medalist, and triple Olympic swimmer. She competed at the Beijing, London and more recently the Rio Games, where she has finished 6th, 5th and 4th respectively. Rio saw Miley take to the pool twice for Team GB, an agonisingly close fourth place finish in the Women's 400m Individual Medley and a final rank of 13th in the 200m Individual Medley. The European Championships in London just two months ahead of her third Olympics, Miley won silver and bronze in the 400m and 200m Individual Medley. Voucher for 1 Child Walkout at the Peter Ashley Activity Centre at Fort Widley. Ride around the Fort whilst admiring the views over Portsmouth to the South and the South Downs national park to the North. The Walk outs at Fort Widley are suitable for those with little or no experience of riding who would like to experience the feeling of being on a horse, without the pressure of any formal instruction. Each horse and rider on a walk out will be led by an experienced member of staff or volunteer with as much or as little instruction as they wish. The Fort Widley Horse Riding Walk Outs are ideal for young children over 4, with no previous contact with horses, they are also great for disabled riders. For more information about Fort Widley Horse Riding Walk Outs at the Peter Ashley Activity Centres call Fort Widley on 023 9232 4553 for details. Family pass to Finkley Down Farm and Indoor Play Barn (2 adults and 2 children or 1 adult and 3 children) in Andover (SP11 6NF). 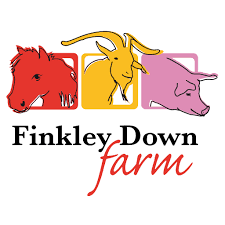 Open all year round, Finkley Down Farm has a massive indoor play barn with different areas for different age ranges. There’s lots of outdoor play as well, with pedal go carts, mini ride on tractors, sandpit and trampolines. Throughout the day there are animal handling and feeding activities for children to get involved in. Reptiles and Birds Of Prey have now been added to a Farm-tastic family day out. 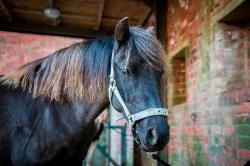 Pony rides (extra charge) take place at weekends and in school holidays. 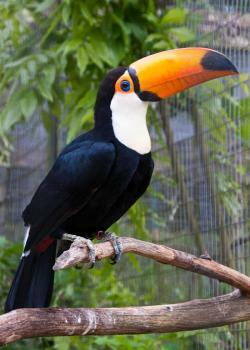 Two children can go free with one full paying adult at Birdworld in Farnham, Surrey (GU10 4LD). Children and grown ups alike can enjoy a whole day out at Birdworld. You will be enthralled by a stunning collection of birds from around the world. 26 acres of beautiful parkland and landscaped gardens are the perfect setting for birds from across the globe. From flamingoes to budgies, parrots to penguins and owls to water fowl - there is something for everyone. 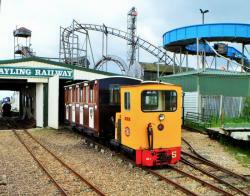 Take a delightful trip on the Hayling Seaside Railway. Open every Wednesday, Saturday & Sunday in 2018, plus every day during Hampshire School Holidays. This voucher entitles a family of 2 adults and 2 children to gain entry. Walk among Tropical Butterflies, see exotic Birds and get close to many Beasts. Wander through a maze of 17 covered theme gardens, see the artefacts from the shipwrecked HMS Hazardous sunk in 1706 and walk through the 20th Century in their Rejectamenta Nostalgia centre. Come along and see their many rescued animals and learn more about them. This voucher entitles you to a 3 course meal for 4 people with a free bottle of Prosecco or wine of your choice, on any Sunday from 12pm - 8pm. Meals must be chosen in advance from the menu which is available on: http://www.thefarehamfareham.com. This vouchers entitles the bearer to a full set of Acrylic Nails with Gel Polish or Overlays with Gel Polish. 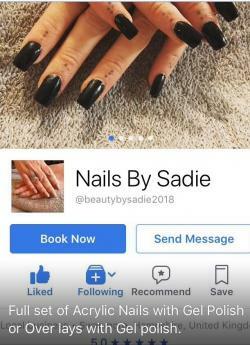 The prize can be taken on either a Wednesday or Saturday (possibility of flexibility on days), at the Wendie Goodwin Lashes & Brows Salon at 34 Holly Grove, Fareham PO16 7UP. 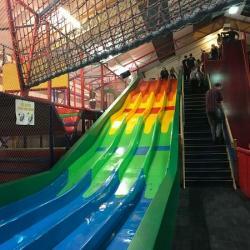 2 x child vouchers to a Teen, Kid or Toddler play session at Playzone in Portsmouth (PO6 3TJ). Playzone Portsmouth is a fantastic indoor play centre, that's suitable for all ages! There are huge slides, rope walk ways, fireman's poles, web climber, tumble towers, up and overs pads, bish bash bags..... the list goes on and on! What sets Playzone apart from the rest is that it really is suitable for all ages. They have a dedicated toddler area, that's a mini Playzone just for the under 4s. They positively encourage all ages over 5yrs to have a go in the main play area. Join a member of the farm team and meet our cows and calves. Listen out for the school bell, grab your chalk and slate, and meet their Victorian teacher in the schoolroom. A chance for children to compare modern and Victorian school lessons. The sun may not be shining but there is still plenty to explore undercover at Manor Farm. 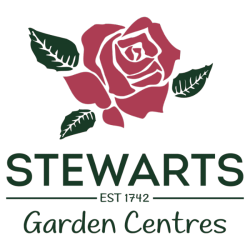 Stewarts is a family owned business established in 1742 and can be tracked back eight generations, see their history page to find out more about where and how they started. They now have three Garden centres, a Nursery and a Landscaping division, all based in Dorset and Hampshire; their Garden centres are in Christchurch, Broomhill (just outside Wimborne) and they recently acquired Abbey Garden centre in Titchfield, Fareham. They offer a comprehensive choice of expertly sourced products and services for the home and garden. 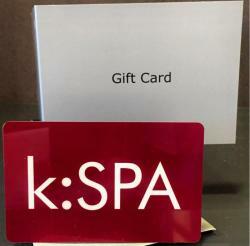 Treat yourself, a friend or family member to a treatment or experience using this £25 gift voucher for K:Spa. k:SPA promotes long-lasting wellbeing through beneficial treatments that make you feel good about your body, your self and the world around you. K:Spa offers massage, facial and body treatments, waxing and electrolysis, alternative therapies, and hands, feet and eye treatments that are designed to relax, replenish and calm you in a relaxing salon environment. Enhance and enjoy a more balanced life by spending time with their expert therapists, passionately committed to high standards and service excellence. With an extensive background of developing five-star hotel spas globally, k:SPA is the vision of founder Kelly Shaw. Embracing a holistic approach towards treatments, the salon is purposefully designed to reflect the spa environment. More information can be found at http://www.mykspa.co.uk. 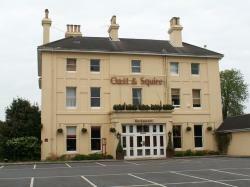 Based at 3600 Parkway, The Solent Centre, Solent Business Park, Whiteley, Fareham, PO15 7AN. The winner will receive a leisurely two hour brewery tour experience. You'll get a chance to taste the barley, sniff the hops and see their handcrafted ale in the Tun Room. 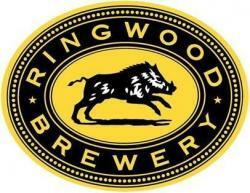 You'll round off the tour with with a relaxed tutored tasting of Ringwood's renowned ales, a complimentary drink in the Pin Room and the chance to browse in the Brewery Store. Tours are by advance booking only and available all year round. They are unable to accept children under 8 years of age on the tour. Two tickets to a film of the bearers choice at No. 6 Cinema (Boathouse 6, Portsmouth Historic Dockyard). You will watch a film based in the world famous Portsmouth Historic Dockyard and Grade II listed Boathouse 6. The 275-seat auditorium boasts one of the biggest screens on the South Coast. Visit http://www.no6cinema.co.uk for film listings. May be used for standard screenings. Not valid for live, encore screenings or other events. 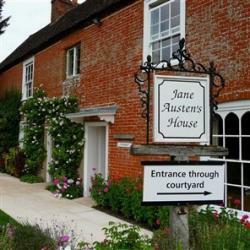 Jane Austen's House Museum family ticket (Admits 2 adults and up to 3 children). Visit world-renowned author Jane Austen's cottage in Chawton, Alton, where she lived with her mother and sister from 1809 until 1817. Here she revised her earlier manuscript novels Sense and Sensibility, Pride and Prejudice and Northanger Abbey also wrote Emma, Mansfield Park and Persuasion. Abbotsbury Children’s Farm is a great place for a young family looking for things to do in Dorset! There are lots of animals for the children to meet and feed. Considered one of the best children’s farms in Dorset, there are fun things to do every day. Car Parking – There is a disabled parking area in front of the farm entrance. Other visitors can use the village car park which charges non season ticket holders. Alternatively FREE parking is available at the nearby Swannery. One voucher for an adult or child to half an hour of karting, split into two 15-minutes sessions. The participant will receive a full briefing and instruction at the start of the event, so no previous experience is required as everything is explained. The race wear required will be provided (full race suit, helmet and gloves). They will then go out onto the track and race for 15 minutes, have a break, before going back out on the track and racing for a second 15 minutes. The karter will also receive a computer lap timing print out after each session so they can see how they got on in each session. Adults are classified as approx 13 years and above. To drive the adult karts they must have an inside leg measurement of 29 inches, measure from the crotch to the base of the heel of their shoe. The child must be a minimum of 8 years old and have an inside leg measurement of 25 inches to reach the pedals. You must know which karts you require before booking. The voucher is valid until 30 Nov 2018. Voucher can be used at any Team Sport Indoor Karting Track but the nearest to Fareham Nomads is Eastleigh or Gosport. http://www.team-sport.co.uk. 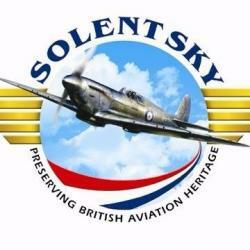 A family ticket (admits two adults and three children) to to Solent Sky Museum (SO14 3FR). See over 20 airframes on display from the golden age of aviation, including the Spitfire and the record-breaking Supermarine S6. Take a guided tour of its giant Sandringham flying boat, and children and adults alike will enjoy the thrills of sitting in jet fighter cockpits. Valid until 31/5/19. For more information visit http://www.solentskymuseum.org. 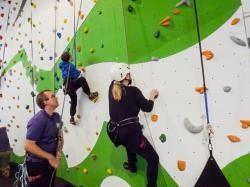 Golden Gecko Climbing is an indoor bouldering and climbing centre. The winner will be able to have two supervised sessions on the Golden Gecko Challenge Wall or if the holder wishes to use their other facilities they can have climbing to the value of £30. For more information visit http://www.ggclimbing.com. Expiry date: End of March 2019. Minimum age to climb is 5 years. All climber aged 5-18 must be accompanied by an adult (max 2 children per adult). 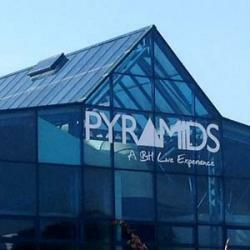 Family swim ticket for the Pyramids Centre, Portsmouth. The winner is invited to enjoy the attractions of flumes, waves, lane swimming and much more - no matter the weather! A great day out for all the family. Expiry date: 31 August 2018. One of the top family days out in the West Sussex countryside, the award-winning Fishers Farm Park is open all year 10am – 5pm. A family pass to Longdown Activity Farm ( 2 adults and 2 children) in Ashurst, Southampton (SO40 7EH). Come along and enjoy a fantastic family day for everyone. 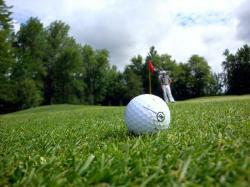 Join in with their daily schedule of activities which run throughout the day. You can bottle-feed the kid goats and the calves, feed the ducks, meet the pigs, donkeys and alpacas. You can have a cuddle with a baby rabbit, hold a chick - you may even get the opportunity to stroke a piglet! They have lots of friendly animals waiting to meet you. There are lots of brilliant farmyard buildings to explore and loads of fabulous indoor and outdoor play areas including the trampoline barn, a soft play area and The Farmer's Straw Den. Don't miss the Longdown Farm Shop, recently doubled in size, for a large range of delicious locally sourced produce. They also provide a tearoom, gift shop and picnic areas. Valid until 28th October 2018. More information at http://www.longdownfarm.co.uk. 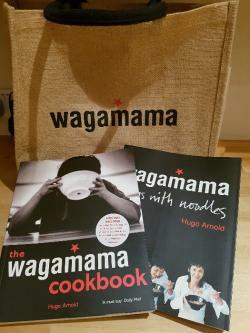 Voucher valid for anytime between Monday & Thursday and after 12pm Fridays, Weekends and Bank Holidays. 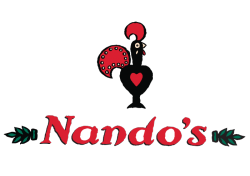 They love spicing things up at Nando’s and their new look does just that. It comes all the way from Southern Africa – the place our very first restaurant opened back in ’87. Nestled at the foot of the South Downs, West Dean Gardens is one of the greatest restored gardens open to the public today. Visitors can explore a wide range of features on a gentle walk around the grounds. From surreal trees to the restored walled garden, West Dean Gardens proudly presents its rich creative and social heritage. West Dean Gardens is near Chichester (PO18 0RX). Voucher can be used at any time - meals must be purchased from the main menu. Please present the voucher upon arrival. This voucher entitles the bearer to enjoy 2 coffees and 2 cakes at Costa in Stubbington. 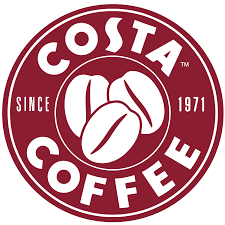 This voucher entitles the bearer to enjoy 2 coffees and 2 panini's at Costa in Stubbington. 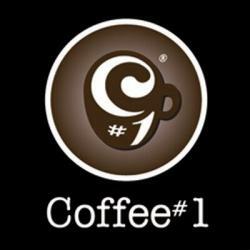 Coffee#1 - 220g Bag of House Blend Bold Whole Bean Coffee. Rich, Well balanced and a real favourite! Entitles the bearer to 2 x Adult and 2 x Children entry to the Farm on the day of their choosing.